Welcome and thank you for visiting us here at Advantage Unlimited Paving Inc. We are proud and honored to be a part of your construction needs. Whether you need asphalt paving, concrete, seal coating or striping, we are here to help you. We are a full service asphalt company with many years of service behind our belt. Let’s meet the people behind our success here at Advantage Unlimited Paving Inc.
Jeannie Norman, President, has been in the asphalt Industry since 1983. We have an excellent Sales Staff and we pride ourselves with our Customer Service and excellent office Personnel. Advantage Unlimited Paving Inc. offers concrete, the application of sealcoat, crack-filling, striping and thermoplastic. Through the years Advantage Unlimited has earned a high reputation (95% customer referrals) in the paving and sealcoat industry. Putting our customers first and valuing the continuing relationship of each customer has and always will be the primary goal of all of us here at Advantage Unlimited. 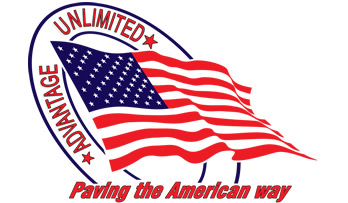 We at Advantage Unlimited Paving Inc. understand the needs of the homeowner, the property managers, the small contractor or the large corporations and their desire to find a contractor they can depend on to give them the customer service and high quality workmanship they deserve project after project, regardless of the size. We pride ourselves in our reputation for top quality work and excellent customer service, by building a relationship with our customers with honesty and integrity and continue to be of the utmost importance of our sales staff. When looking for a paving contractor there are plenty of choices to choose from, but if you are looking for someone to give you an honest, no nonsense answer to your questions about your project, then just give Advantage Unlimited Paving Inc. a call or send us an email and let us have a chance to show you that Advantage Unlimited Paving Inc. is truly the best decision for your project. Just click on one of the Buttons to take a tour of some of our projects.